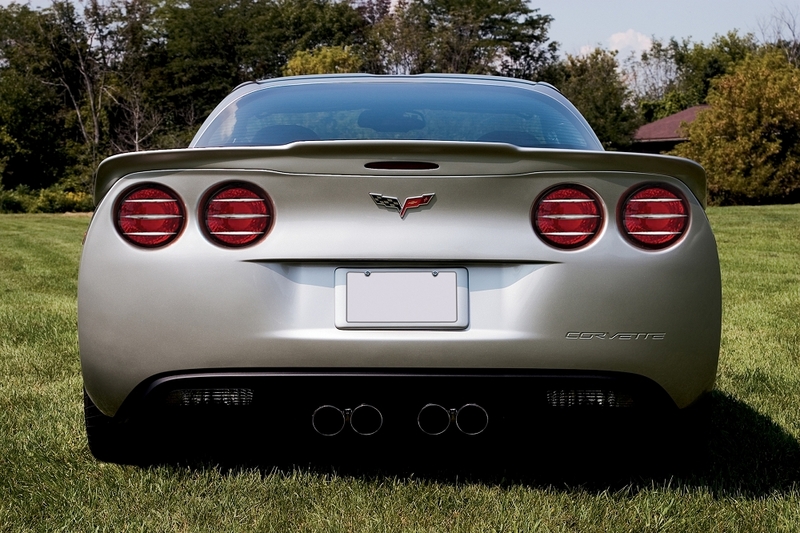 Add these chrome-plated tail light spears to your 20005-2013 C6 to give your Corvette a sleek, new look. The tail light spears are top quality made material using billet aluminum that has a chrome plated finish. This set comes with 12 spears; 3 for each tail light. 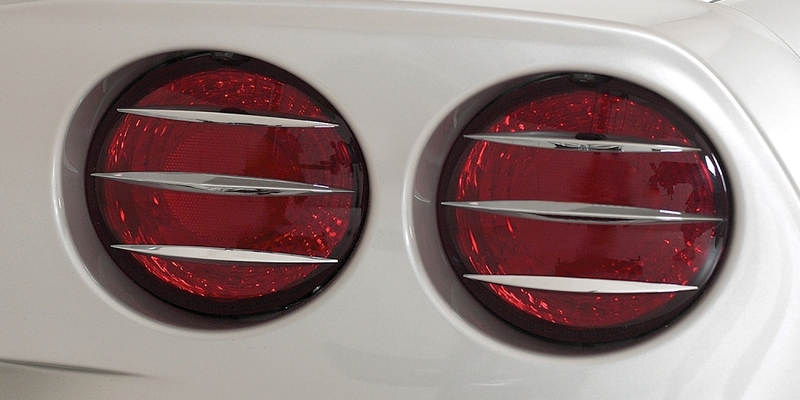 They conform to the shape of your light lens, so it can easily adhere to the surface of your tail light adding a detailed, customized look to the back end of your 'Vette. There is a template guide given for correct placement and is an easy installation. Make your 'Vette stand out from all other Corvettes by customizing it to your liking. These tail light spears are a perfect addition to give your C6 its unique look.